Despite media reports claiming we have “failed a generation”, the actual review is more positive. It focuses on identifying “impactful and practical” strategies to build on the improvement efforts already underway in schools and recommends some sweeping changes. The review has three overarching priorities across five areas, with 23 separate recommendations. There is recognition that our teachers and school leaders need less time on administrative tasks and more time to work together, plan and engage in professional learning. There is also acknowledgement that we need to raise the status of the teaching profession and provide meaningful career pathways if we are to attract and retain the best possible teachers and school leaders to our schools. There are, however, some key concerns. The report calls for a complete restructure of the Australian Curriculum to remove reference to year levels and develop “learning progressions” with multiple proficiency levels across all eight key learning areas (KLAs) and seven general capabilities. Full implementation is expected within five years. The QTU has conducted an analysis of nine high-performing systems around the world and found none have a curriculum structure similar to what has been proposed for Australia. The evidence from these high-performing systems demonstrates that these recommendations are not pre-requisites for high achievement. Teachers have already endured decades of curriculum changes and continual improvement agendas with no opportunity to deeply embed these changes over time before the next change is upon them. The QTU rejects such a dramatic upheaval without the evidence, funding and support required to ensure its success. The current Australian Curriculum was developed with extensive consultation, and national agreement. It is a curriculum that can be adjusted to suit local contexts, and our teachers already use this curriculum to differentiate extensively for their learners. The report also calls for a full review of senior secondary schooling within 12 months and totally individual learning plans, curriculum pathways and assessment for every child, based on results from a new online assessment tool yet to be developed. 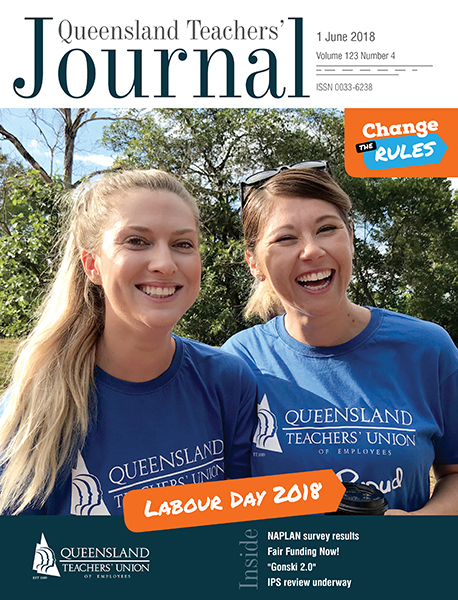 While the QTU supports appropriate diagnostic tools that will assist teachers in meaningfully assessing what students know and can do, with a developmental approach; the workload implications of creating totally individual learning plans, curriculum pathways and assessment for every child make them unrealistic. The QTU and other stakeholders are already implementing significant changes to senior schooling following a comprehensive statewide review. We believe a further review at this stage would result in significant upheaval for schools and additional workload. The key priority requiring schools to deliver “at least one year’s growth in learning for every student every year” will need careful examination. There is no definition as to what is meant by “one year’s growth in learning”. This leaves potential for teachers to be asked to achieve unattainable outcomes. Is a year’s growth in learning for a child who has suffered a severe brain injury necessarily the same as that of a child who is achieving at the highest percentile for their age? The QTU supports a growth model for every student but recognises that there are individual differences in rate of learning. These changes require active engagement with teachers and principals. Without the involvement and support of the profession, these initiatives will fail. The deciding factor, as always, will be preparedness of governments to provide the resources necessary to deliver on the recommendations. The federal government controls the Budget but runs no schools. Only state governments, teachers and principals can deliver on any change in education. The test will be what the federal government does with the review report through the Federal Budget, and ongoing negotiations for new education funding agreements with the states and territories.